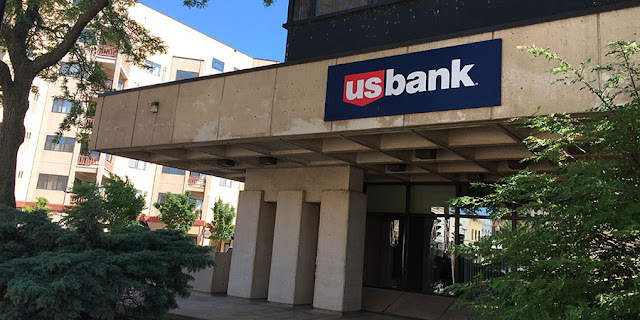 A teller at the downtown office of U.S. Bank cashed checks marked for deposit only, court papers state. An Oshkosh woman who handled payments for dining hall meals at UW Oshkosh has been accused of duping the school’s food service provider out of at least $300,000 and perhaps as much as $500,000. Karen M. Anderson, 51, faces up to 10 years in jail and a $25,000 fine if convicted in the case. She worked for 13 years at Sodexo, a French company that operates in 80 countries and has long held the food service contract with UW Oshkosh. According to court papers, Anderson made off with the money after convincing a teller at the U.S. Bank office on Main Street that it would be OK to cash checks that were marked “for deposit only.” Anderson told the teller that the money “had to go two different places,” court papers show. A “customer paid Sodexo for the catering services and paid the university for room rental,” according to an affidavit filed in support of the criminal charges. Anderson “was allowed to cash the deposit only check and apply it to the Sodexo account and then forward the rest to the university,” the affidavit states. “After the first one or two occasions she kept all the money she cashed from deposit only checks,” the affidavit says. But the only money that is alleged to be missing is from Sodexo. “No university funds were involved,” said Mandy Potts, the university’s director of communications. Anderson cashed 159 checks payable to Sodexo, according to court records. “The total loss documented by records from 2010 to 2015 was $308,709.90,” according to information from UW Oshkosh Police Detective Michael Bartlein. Scott Baron, a senior investigator in Sodexo’s internal audit unit, told police that “the total accounts payable from the UW-Oshkosh Sodexo account to Sodexo corporate accounts showed $506,000 missing,” according to court records. Anderson said she needed the money because her children were heavily involved in sports, according to the court file. She spent the money on sports camps, hotel stays and related expenses. In a statement Sodexo said it was cooperating in the investigation and noted that it had fired Anderson. U.S. Bank declined to comment, noting that it is not part of the current criminal case. Anderson could not be reached for comment. Her attorney declined to comment. Anderson had been scheduled to enter a plea next week. But because of health concerns, the plea hearing has been postponed until Sept. 27.